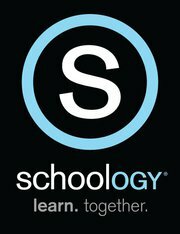 Recently, our school purchased Schoology’s Enterprise pack to replace our previous (outdated) LMS. Obviously I am a fan of Schoology since I was a champion for the switch. Through grad school classes and my own explorations, I have had a fair amount of experience with Edmodo too. I see so many articles and tweets surrounding Edmodo, that I can’t help but feel like maybe people just don’t know about Schoology. Let me first say, that while I clearly prefer Schoology over Edmodo, I still think Edmodo is an awesome free resource for teachers! Below are 10 reasons why I think Schoology is a better option than Edmodo. 1. It’s FREE! Ok, so they both are free, but I think it’s important to point out that Schoology has an awesome free version too. You do have the option to pay for the enterprise package for the entire school and get even more awesome features (school wide analytics, single sign on, etc.). The free version still offers plenty of incredible features for the independent teacher. 2. Ability to easily create folders inside of folders. I am someone who puts a folder inside a folder inside a folder, so this is a huge deal breaker for me. 3. In Schoology, you can reorganize any folder and any item within a folder at any point. In Edmodo, you have to be very careful to plan ahead and pick the exact order you want everything to appear because you cannot reorder. If you can reorder items and folders in Edmodo, it is not very easy to figure it out … I still haven’t. 4. Student completion rules. This is one of my favorite features. You can set any item within a folder to meet a certain requirement before the student is allowed to move on to the next thing. You can set it to force the students to view an item, post a comment/reply, make a submission or obtain a minimum score before they can view the next item in the list. 5. Discussion boards. This is another one of my favorite features- they are awesome! You can easily grade comments and replys by student. Both teachers and students are also able to embed media (files, links, audio/video recordings) in the discussion board comments. Teachers can also require students to post their own comment before they will be able to see other students’ responses. I could go on about even more features with the discussion boards, but I’ll let you check it out! 6. Gradebook allows you to drop lowest score(s). You can also get to the gradebook for any of your classes within the gradebook view. 7. Student and course analytics are more detailed and easier to get to in Schoology. 8. Grade assignments/documents without leaving Schoology. A student can attach any document to turn in an assignment and the teacher is able to grade it without leaving Schoology, using the Schoology dropbox. Along these lines, you can grade by student or by question when grading assignments and quizzes. 9. Intuitive interface. This is personal preference, but I think Schoology’s interface is much easier to navigate than Edmodo without any training. 10. Rubrics. Schoology has enabled rubrics for grading. You can use a generic rubric or create a new rubric for each assignment and it will automatically populate when grading the assignment. 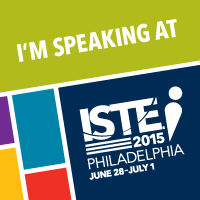 I think it is important to point out a few of the features that Schoology and Edmodo have in common. 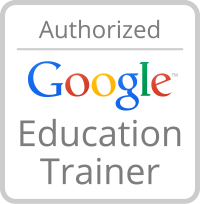 Sync your Google account with Schoology to import your Google Docs. Send updates, post assignments and create a poll from both the home page and within each course. Reward students with badges. You can choose from pre-created badges and/or create your own. Parent accounts are also available for both. iOS and Android apps are available. Check out this video for a full overview of Schoology features. Which free LMS do you prefer and why? I’d love to hear your thoughts! werden hierzulande trotzdem als ein Teil der Germania.